Civita di Bagnoregio - Italy, Civita di Bagnoregio - Italy photos, Civita di Bagnoregio - Italy pictures. 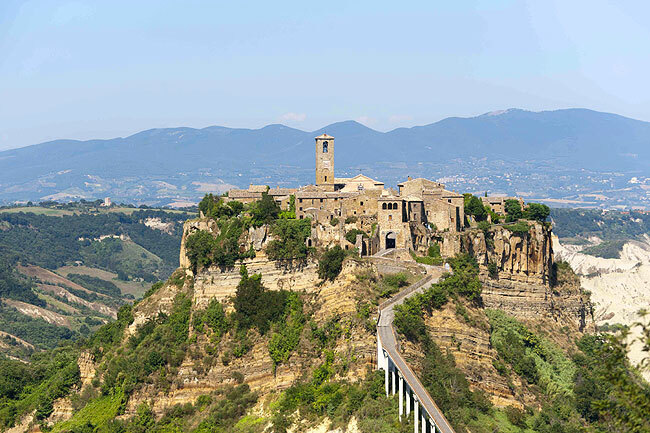 Civita was founded by Etruscans more than 2,500 years ago. Its population dwindled to just 6 residents over the course of the 20th century. Civita was the birthplace of Saint Bonaventure, who died in 1274.